Jeremiah Lovato, a single father living in Colorado, pulled his 14 year old adopted son out of public school to homeschool him after suspicions arose that he was abusing the boy. Almost a year later Lovato’s brutal abuse came to light when his teenage son called the local sheriff’s office to report that he had been severely beaten by his father. 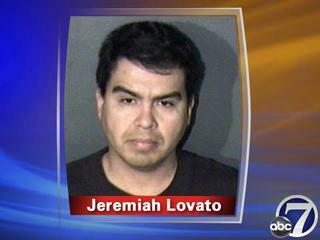 Lovato was charged with child abuse and first degree assault.